Four Counties Health Services circulates daily copies of the London Free Press and local papers to patients and visitors. At Strathroy Middlesex General Hospital, SMGH Foundation can provide copies of the London Free Press, Globe & Mail or National Post by calling x.5906. The cafeteria is open daily – 7:00 am to 5:00 pm Cafeteria Lunch Hours (hot food is served) – 11:30am – 1:30 pm Cafeteria Supper Hours (hot food is served) – 4:45 pm – 5:00 pm. Vending machine options are available for purchase in the visitor wait room #519 and also in the cafeteria. Inpatient meal service is provided for all patients starting at 8:00 am with breakfast, 11:50 am for lunch and 4:25 pm – 4:45 pm for dinner. Patients fill in a Preference Card when admitted. This goes to Food Services to help us customize patient meals, with, for example, requested portion size, beverage preferences, and meat or milk choices. The cafeteria is open Weekdays 7:15 am – 4:00 p.m. Weekends and Statutory Holidays 11:30 am – 1:00 p.m. The cafeteria is located in the basement. Follow the signage once exiting the elevator or stairwell. Vending machines are located in the Emergency Department wait room and the Cafeteria. Inpatient meal service is provided for all patients starting with breakfast 7:50 am – 8:30 am, lunch 11:35 am – 12:15 p.m. and supper 4:40 p.m. – 5:15 p.m. Patients fill in a Preference Card when admitted. This goes to Food Services to help us customize patient meals, with, for example, requested portion size, beverage preferences, and meat or milk choices. Visitors can order supper from Food Services since the cafeteria is closed at supper. A supper tray will be sent to the visitor with the patient’s tray. Please visit the Food Services office to order a visitor tray. grounds except in the Designated Smoking Area provided. becomes 100% smoke free on July 1, 2016. The use of electronic cigarettes are not permitted anywhere on Hospital Grounds. 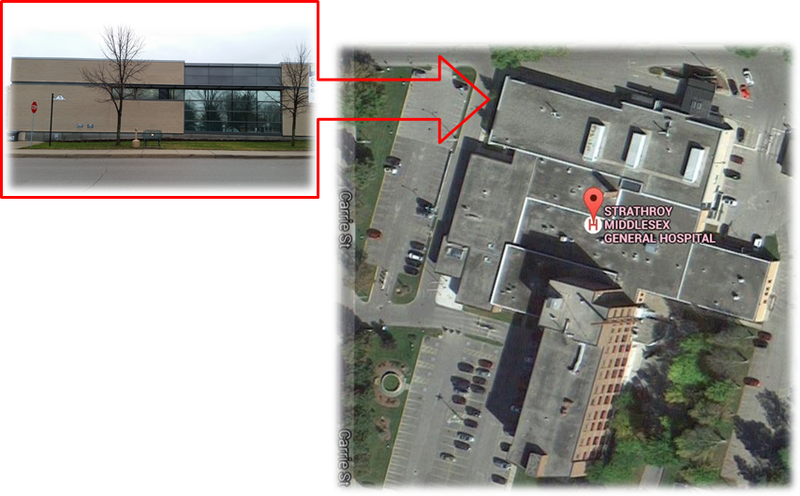 The Designated Smoking Area at SMGH is on the North West Corner along Auxiliary Way. 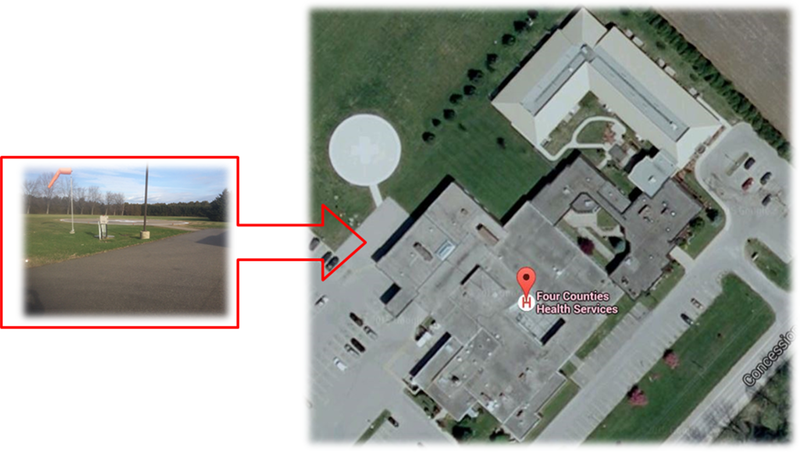 The Designated Smoking Area for FCHS is on the North West corner towards the Helipad.